I received my first Stitchfix shipment and got a few photos of each of the pieces they sent me. What do you think? The cut of the dress was very flattering and I liked the faux wrap. But I have to say, I felt it was too short for my long legs ((a common issue I have)). It also could work with jeans or leggings/tights. I really liked the material since it wouldn't wrinkle easily. 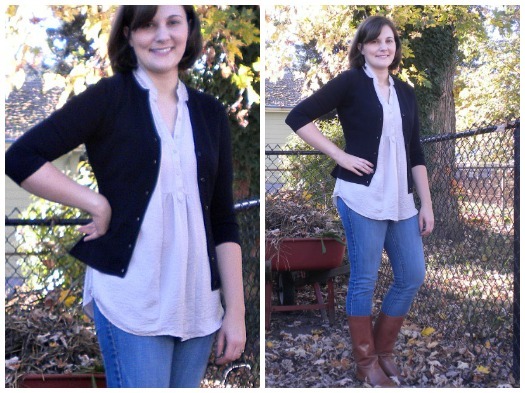 Everyone needs a great black cardigan, right? This was a high quality sweater and I could tell it would never pill. I felt like this one should have been cuter, but it just seemed blah on me. I wasn't a fan of fitted bodice and angled neckline, even when I paired it with a shirt that had a similar neckline. I was really hoping for a good pair of pants to add to my work wardrobe, but these weren't the ones. They were basically skinny jeans with an elastic waster. Unfortunately, they barely came over my rear. I did like how long they were, as I mentioned before I often have a hard time finding pants and dresses the right length. This was my favorite item they sent. I loved the ease of wearing this tunic and could see it going with a number of things I already owned. I also thought the mossy green color was perfect for fall. This would be a fun addition to my fall wardrobe, with it's black and white stripes and contrasting gold buttons. However, it was too small and could barely be buttoned ((I'm not sure if that was because it was double-breasted or another factor)). It would have been a fun casual jacket. Which clothing item do you like best? To be honest, I chose not to keep any of them items Stitchfix sent me. I have learned to be pretty picky with the clothing I choose to buy, thanks to reading The No Brainer Wardrobe last winter. It really helped me to pare down my closet and actually wear the things inside. All is not lost though. Despite not keeping the clothing, I got to try a few styles I probably wouldn't have picked out were I shopping on my own. >>> I loved getting a package in the mail and scheduling when it would arrive ((I guess it's the simple joys, right? >>> Next time I go shopping, I have some ideas of the types of pieces I am looking for ((i.e. 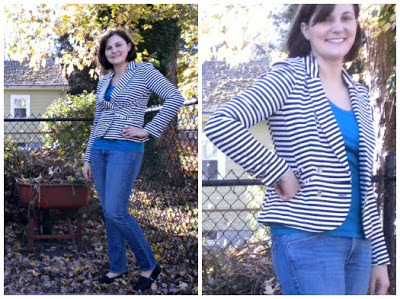 a striped blazer and button front tunic)). 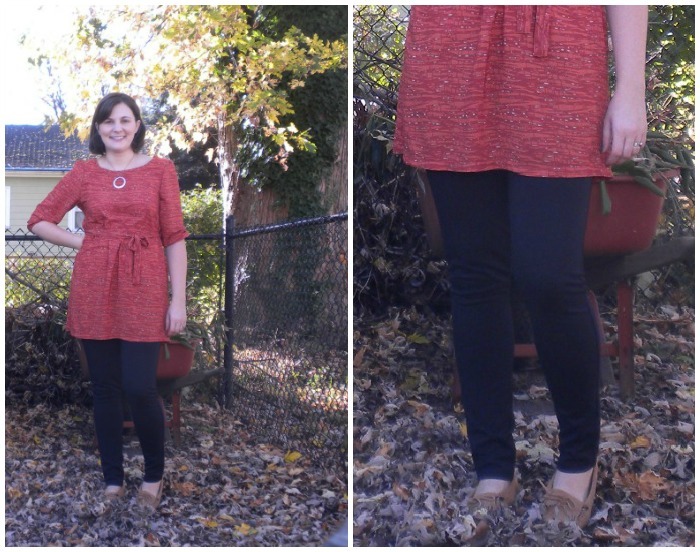 Have you ordered your Stitchfix yet?! It's free to join! I love the striped blazer! Definitely my style. Thanks for placing an ad on This Gal Cooks. I just need your swap code so I may place my ad on your blog. Also, I am now following via GFC. :) Glad to be following along now and have you on my side bar for the next month! I think the black dress was cute, but it was on the shorter side.=) I think it is funny you sent everything back, but you are using the information for later. You got to try new things that you wouldn't maybe have tried on your own, and that is cool. i love the last 2 items too!! good for you on being strong though!! 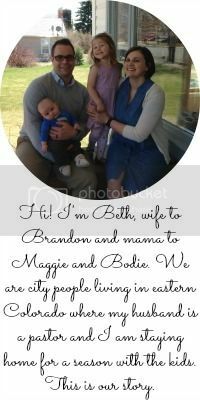 thanks for your review, beth!! i love that green blouse, too! !